Got the perfect spot for a vertical garden? Not sure which type of planting system you need? Don’t worry because we’ve made it easy for you to choose the best vertical garden system for you. 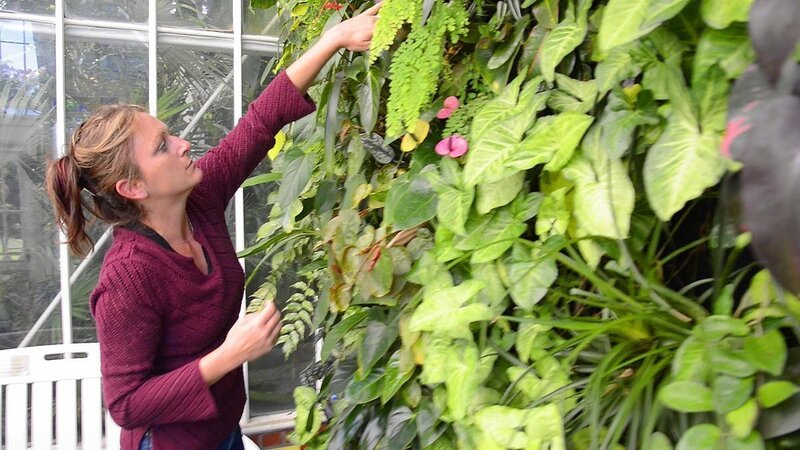 Here’s a quick overview of things to consider before buying the best vertical garden system for your situation. If you want more info on any of them, just follow the links for video tutorials and guides. 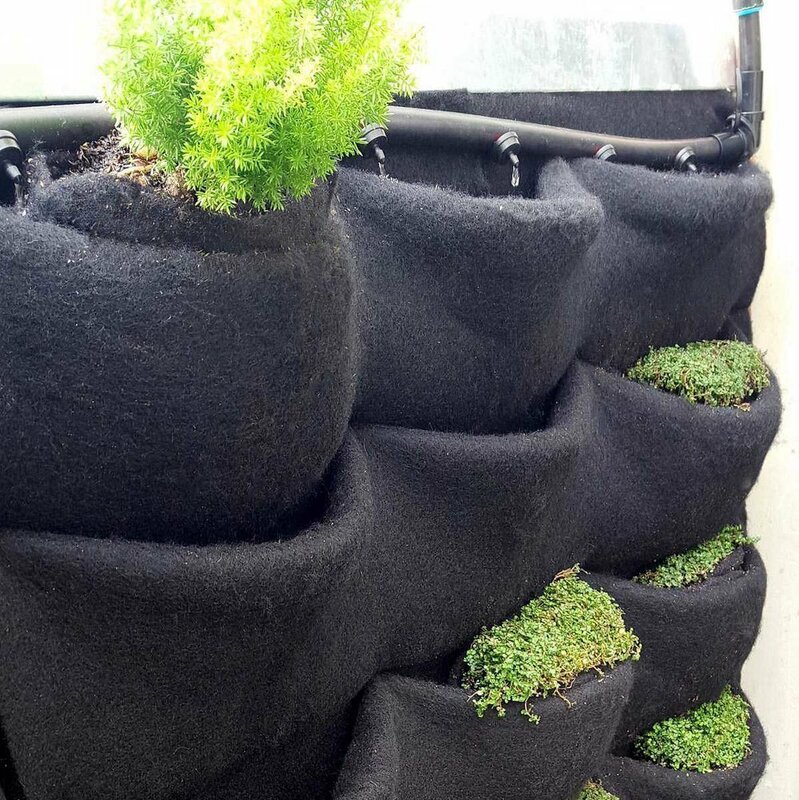 Plants On Walls vertical garden systems are designed to be easy to install for anyone who feels at ease with basic tools. We provide guides and videos with step-by-step instructions – Or you can hire a local installer to build it for you. Florafelt Pockets Vertical Garden Installation by Seth Strottlemeyer of Oasis Gardenscapes. 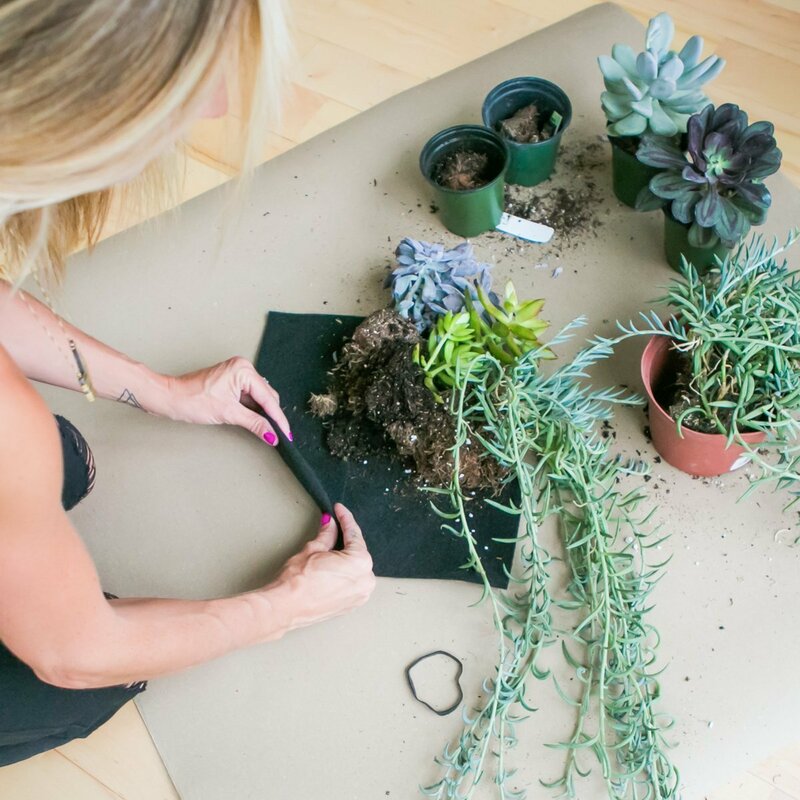 You can water your vertical garden by hand which works great for succulents. Most other plants prefer a timed irrigation system that regularly delivers a controlled amount of water. Our vertical garden systems either come with built-in irrigation or require a custom drip irrigation system. Florafelt Pockets custom drip irrigation. There are lots of different ways to get greenery for your vertical garden. See our Choosing Plants page for design and horticultural info. In terms of costs, you can save (and have tons of fun) by planting the vertical garden yourself. So a practical solution is to use cuttings and/or propagate plants you already have. You can also purchase new plants from a nursery or hire a landscaper/plantscaper. How To Use Florafelt Root Wrappers by photographer Jamie Sangar. Your upfront costs will be for the planting system and any installer and/or plantscaper you hire. Ongoing expenses include time and/or money for usual garden maintenance (pruning, fertilizing, etc.). Therefore, depending on your skills and the size of your wall, you can maintain it yourself (see our guides and tutorials) or hire a professional to keep it looking its best. Florafelt Vertical Garden at the San Francisco Conservatory of Flowers. Maintained by Steph Kantorski, Volunteer Horticulturist. 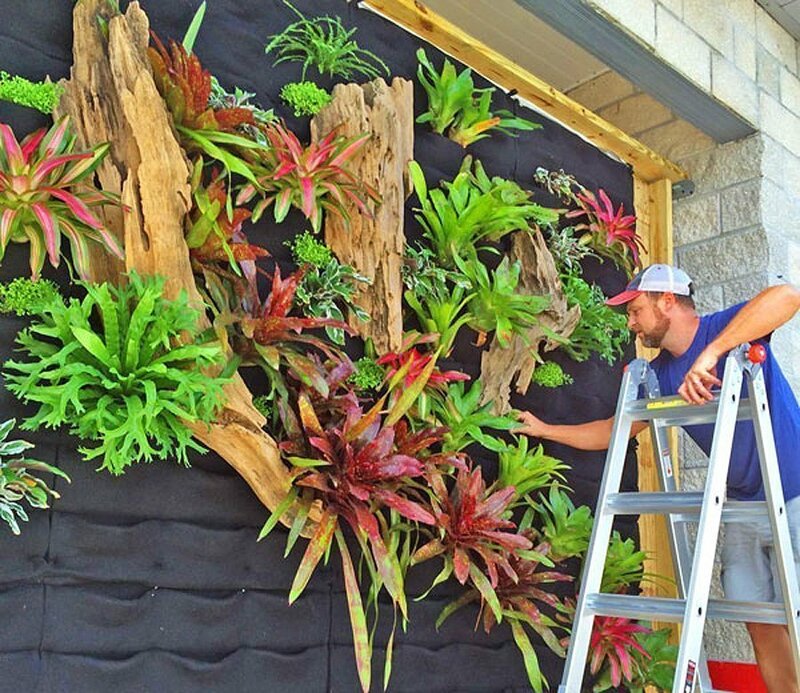 Plants On Walls makes three different green wall planters for creating any kind of living wall: Pocket Panels, Recirc Units, and the Pro System. 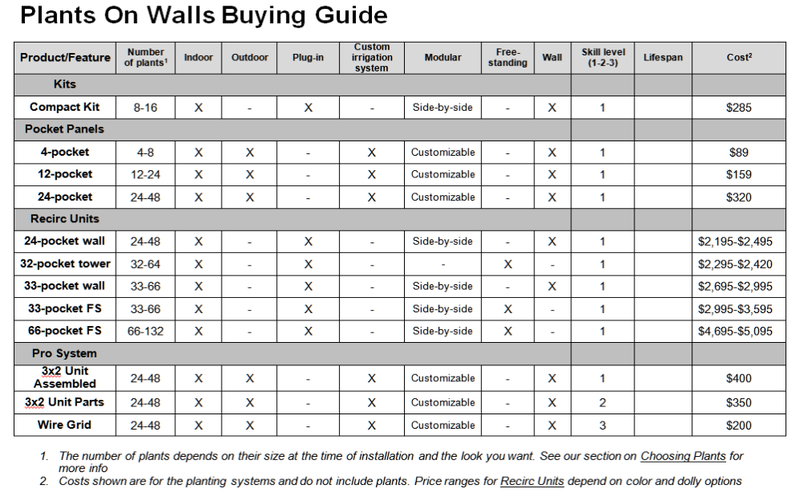 Use our Florafelt Buying Guide below to determine which features you want and a POW system that works for you and your space.